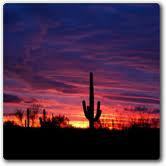 WELCOME HOME TO CHANDLER HEIGHTS RANCHES IN BEAUTIFUL QUEEN CREEK ARIZONA! This 2.42 acre lot is at the base of a mountain for a gorgeous backdrop! Water & electric are at the parcel. Sweeping views to the south of the magnificent San Tans! Several new custom homes in the area - this would be a great location for yours! Parcel cannot be split - GR Zoning with 1.25 acre minimum. Close to schools, shopping, hiking, golfing & medical - and short walk or ride to the 10,200 acre San Tan Mountains Regional Park! Clean air, beautiful sunrises, panoramic sunsets, wide open spaces - what more could you want?!? See It Today!